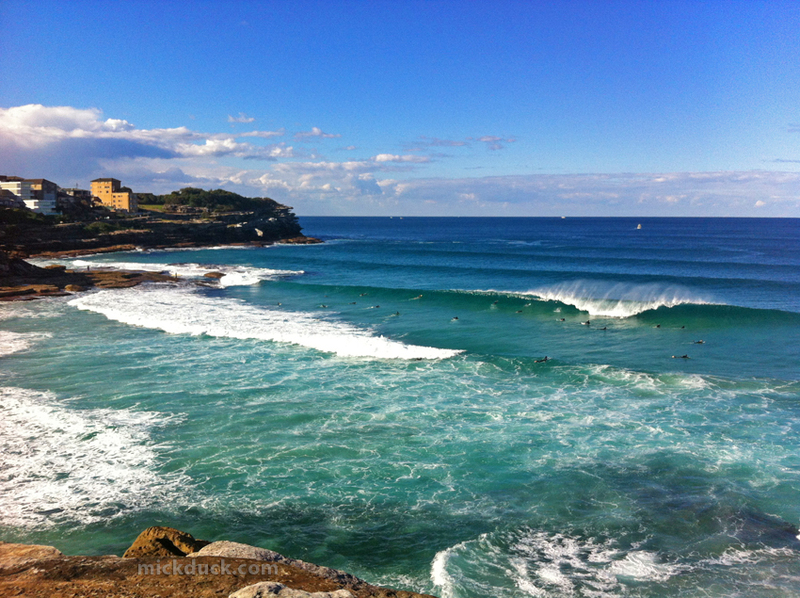 Surf Line Up Of The Day at Tamarama Beach NSW Australia. There were some real good sized waves coming through Tamarama and plenty of people watching from the rocks. Surfer at Tamarama Beach with fins out the back and big spray NSW Australia.